This glass can save your life. Nearly 29 million Americans have trouble seeing, and because of this, roughly 500,000 medication errors occur outside of a hospital setting each year. Our product is designed specifically to help people read & take their medications. Finally, a branding opportunity that reaches millions of Americans. Our product provides a practical alternative to typical low vision devices. It doesn’t require batteries. Its instructions are easy. Even better? Unlike any other product on the market, it costs little to nothing for the consumer, as it qualifies as a patient education device under PhRMA Guidelines and The Sunshine Act. This means it can be freely distributed by doctors offices and pharmaceutical companies, without having to report transfer of value. Have trouble seeing; Focus Glass can help. Use some form of vision correction; Focus Glass is a unique solution. Is the average span most people will need reading glasses. 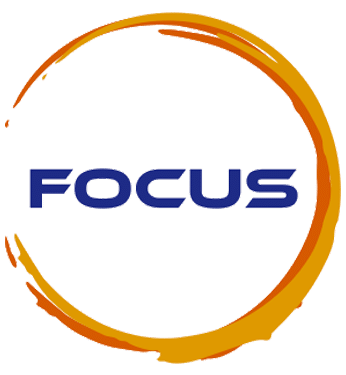 Using our online design tool, you can quickly see how your branding would appear on the Focus glass. A great-looking, affordable branding product. Get in touch with us for a price quote! Focus is ergonomically designed, easy to use, and effectively solves the problem of hard-to-read drug labels. This product qualifies as a patient educational device, excluding it from The Sunshine Act’s reporting requirements. Can It Truly Save Lives? Absolutely. When used properly, this product can 100% eliminate medication errors, by helping individuals safely take the right dosage.